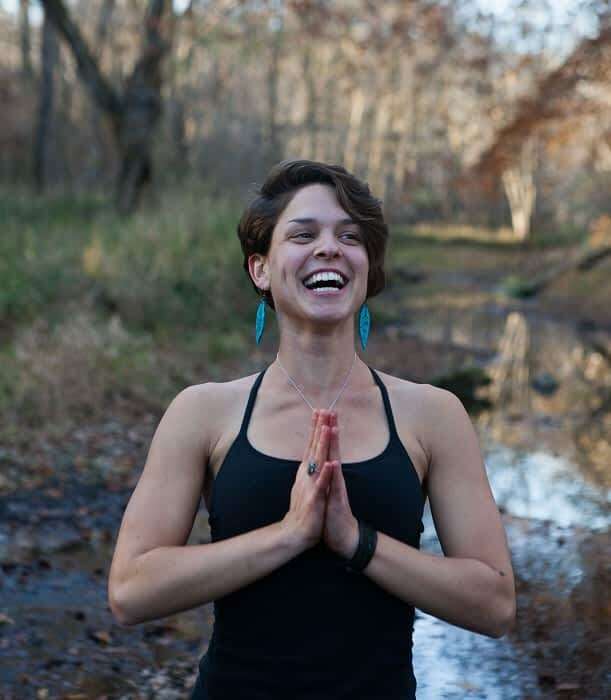 Jen Mainelli is a Vinyasa yoga teacher, inspired by classical Hatha Yoga. 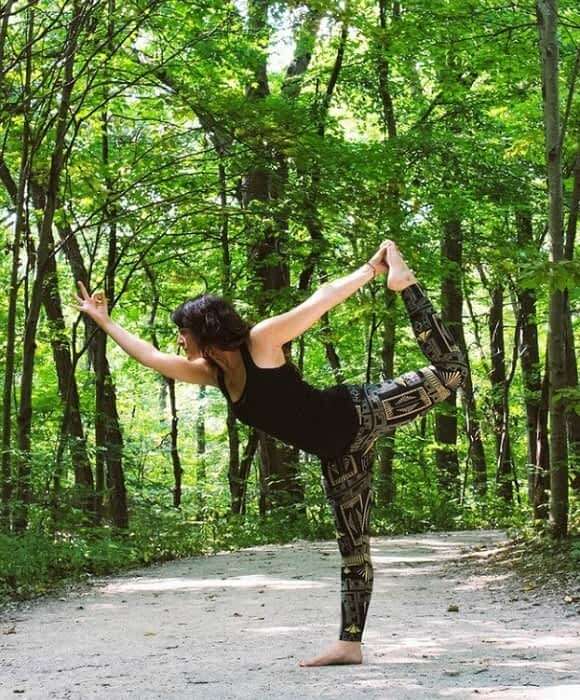 She began her path to yoga in 2005 in Dayton, OH, with Ranjani Powers and Leon Lim, and fell in love with the benefits that naturally emerge through the knowledge and practice. She became a certified teacher in 2009 through Cincinnati Yoga School and began teaching right away. The teacher training program was the segway for certification in Thai Yoga Massage and Reiki which she uses throughout her teaching, as well as providing the service of Thai Yoga Bodywork. The training also included the Virtues First program, Yoga for the Eyes, and the Del Sarte system of Expression ( focused on enhancing the mind body connection), all used to enrich the yoga experience. The goal of finishing her degree brought her to Athens' own Ohio University and she graduated in 2014 with a BS in Exercise Phisiology and Sport Science. 2015 obtained a Certification in Personal Training, and completed 1000 hours of teaching. She hopes to bring self-confidence, playfulness, light and abundance to your life through her teaching. She reminds to her students that yoga is a journey and its never about perfection or being goal oriented. Instead it's about feeling ,and being present in your body because presence is freeing, and within the quiet of the mind, inspiration is born, and change happens. 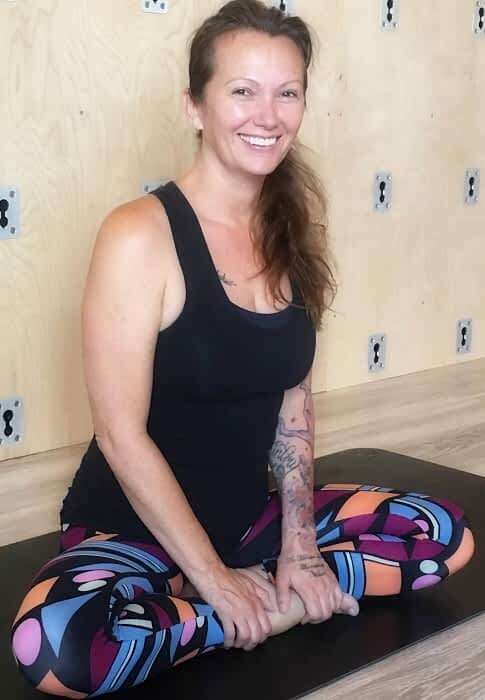 She says, “ change your perspective in yoga, change your life.” She has been able to study with and take workshops from some great teachers like Brian Magone, Kali Ray, Brian Kest, Katie Holmes, Brian Friedman, Jeannie Faulkner, Kraig Weiss and Lila Lolling; and continues her education each year. 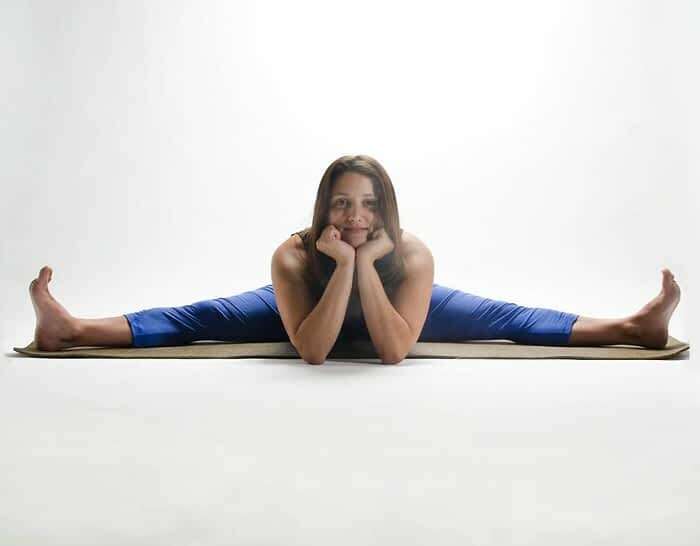 With her education in Physiology and Kinesiology she teaches an alignment based vinyasa practice with a focus on strength to build the appropriate muscles in yoga, therby preventing injury and noticing growth in the pracice as you get stronger. Pranayama (the practice of breathing with retention) is also a heavy focus of her teaching. Linking the breath with movement she teaches you to find a meditative state and go somewhere else in your practice; finding peace within the challenge. Her goal is to provide a safe and playful atmosphere for self discovery, healing and balance in our lives. Maria is a vinyasa teacher from Columbus and was certified with her 200- hour from Yoga on High in 2016. She strives to be as inclusive as possible because she belives yoga is for everyone. She is also a level one reiki practitioner and trained with Linda Oshins and Michele Vinbury in level one pranayama, which both inspire her teaching style by bringing energy and breath into each asana. She first started practicing yoga to help her find a better understanding of herself, but quickly realized yoga is much more than the self and is a way of living. She is always a practicing student from reading about yoga to practicing karma yoga. She hopes to inspire others to find wholeness, as well as strength through their own practice. Her mission as a teacher is to spread the message that yoga is not about trying to morph one's body into a pose, but its about making the pose fit within one's own body. Yoga helps us to realize that we are perfect just the way we are and there is no need to change any thing. 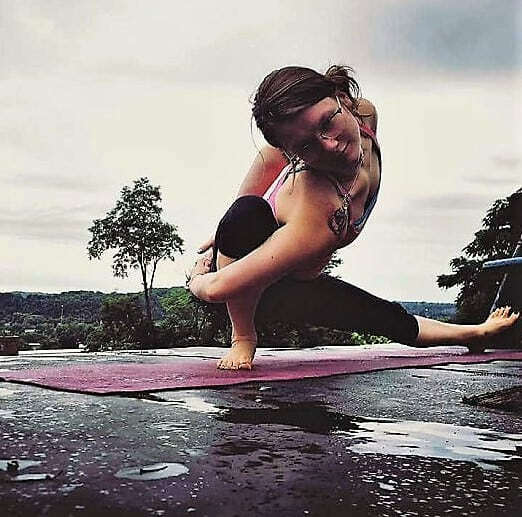 Erin began her yoga journey when she was given a yoga mat in her high school years and started exploring what it meant to slow down and ‘listen to her body’. Each day since, yoga has become that and so much more in her everyday life. Yoga has helped her find peace and home. She now shares this joy and sense of stability that yoga has brought to all aspects of her life by teaching. Erin completed her 200 hr. 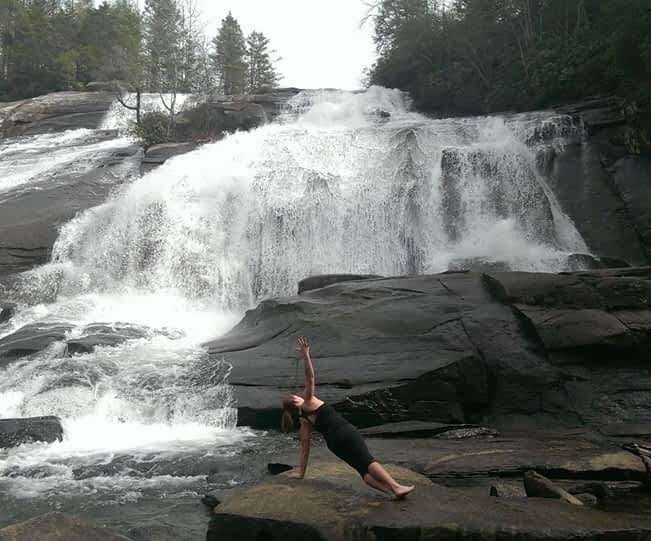 Yoga Teacher Training in Charlotte North Carolina through Bella Vita Yoga School. Bella Vita translates to ‘the beautiful or good life’ and that is exactly what she gained from the nine month teacher training program; a deeper understanding for living in vibrance and letting her inner light shine brighter each day through yoga practice. She continues her education through books, classes, workshops, and discovering new awareness of body and mind through personal practice of yoga and mediation. In her class you will find creative flow, connection of mind and body, and an opportunity to build body awareness. Her hope each class is to challenge students in a nurturing environment where they can leave feeling refreshed, rejuvenated, and at peace in their skin. Holly has been practicing yoga for several years, and somewhere along the way found it was too big of a gift not to share with others. She completed a 200-hour teacher training with Michelle Stobart at Inhale yoga Studio in 2016. 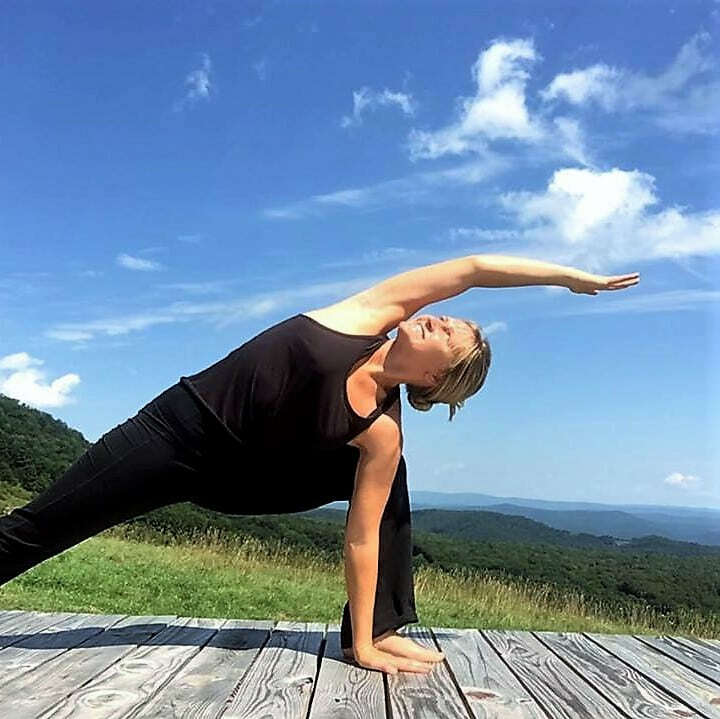 The benefits of her yoga practice have enriched all aspects of her life and she is really excited to share these benefits with the Athens community. Ashley is a 200 RYT and is also a ParaYogi in training with Rod Stryker 300 TT. 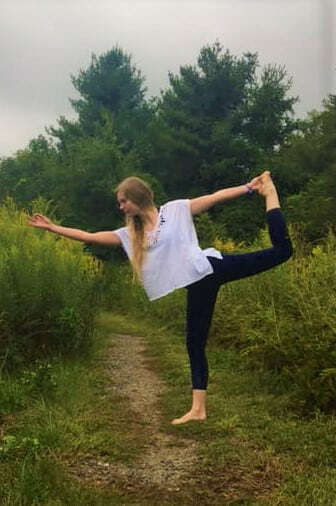 Yoga saved Ashley's life at the age of 15. After seeing the remarkable benefits it made in her life she wanted to share the therapeutic benefits with others and began training with renowned teachers like Lilias Folan, Katy Knowles, Katy Silcox, Karina Mirsky and Rod Stryker. Ashley has been an assistant of Aireal Yoga founder/owner Carmen Curtis at Wanderlust Festival. She is a former member of ProjectYoga and has worked with kids, addicts, beginners, trauma victims and seasoned practitioners as well. She hopes to help deepen ones practice not only in asanas but meditation and pranayama as well. Lonnie was born and raised in Athens, Ohio, and fell in love with yoga while attending the University of Colorado Boulder. She was blown away by the calming and uplifting effect that yoga had on her body, mind, and spirit. The seed was planted for further study and practice. In 2013, while living with a friend who was deeply immersed in Ashtanga, the primary series and the 8 limbs of yoga were introduced. 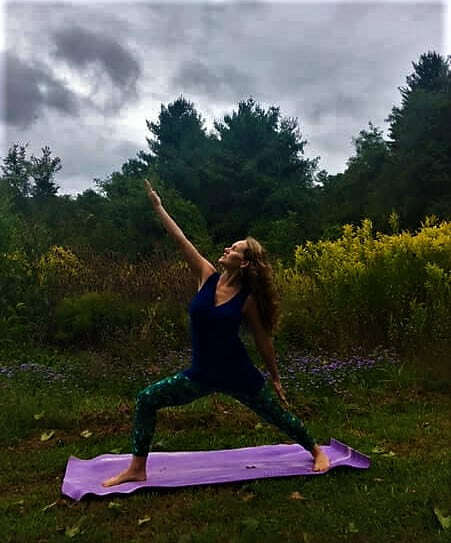 With David Swenson’s Ashtanga Yoga practice manual in hand, she returned to her family farm in Meigs county and continued to practice the primary series for the next 9 months. In the winter of 2014 she deepened her practice by completing a 200 hr Ashtanga and Vinyasa teacher training with Global Yoga Shala in Brazil, helping to integrate the yamas and niyamas, pranayama, meditation, and yoga nidra into her practice. In 2016 she also completed a 200 hr therapeutic yoga teacher training with Yoga Centered and Soma Yoga Institute in Hawaii. There she learned a more alignment based practice, and fell in love with restorative yoga. Lonnie aims to create nourishing, cleansing, and inspiring practices that help you feel replenished, clear, and authentically you. I recently completed my 200-hour yoga teacher training through Humble Yoga School, in Athens Ohio. I am also a licensed clinical mental health counselor and a registered nurse. I am currently finishing my Ph.D. and have an interest in holistic and preventative care. I have been practicing yoga for roughly ten years and have been awed by the way yoga can positively impact the mind, body, emotions, and spirit. Yoga is an ancient practice that is highly relevant today. Yoga allows the practitioner to slow down the mind and be more present, in each moment. I am passionate about sharing the gift of yoga, as it has been so graciously shared with me. I enjoy slow, meditative movements along with powerful vinyasas. Yoga is a practice that can be enjoyed by all levels of practitioners with all levels of skills. Yoga is for everyone. Being a lifelong student and sharer of knowledge is one of my primary yogic goals. Join me for the melding of asana (yoga poses) and pranayama (connecting the beauty of the breath to the movement) with a focus on motivating and soothing music. I was fortunate enough to train under Jennifer Manelli from Athens Yoga and Lynn Brown from Sunrise Yoga. My mentors have provided foundational support to my practice and teaching, and I am eternally grateful. The intention of my classes includes finding your breath, taking a moment for yourself to relax, and connecting to your innermost gifts. My classes are light hearted, inclusive, and energetically warm. Join me in creating this beautiful communal space and in this journey of self-discovery. The light in me most certainly honors the radiating light in you. Vana is an Athens local. Her interest in health, wellness, and a desire to help other people lead her to healthcare as a Registered Nurse. Other interests include travel, and learning about the unique life experiences of people. Vana lived in Asheville, NC for four years. During that time, she started practicing Vinyasa as a regular cool down after jogs and hikes. Vana discovered that yoga is a super gentle exercise with similar “feel good” hormone releases to vigorous exercise. Feeling the mind-body-spirit shifts of yoga, Vana decided that learning about and sharing yoga with other people would be a goal. Vana and her husband returned to Athens and shortly after became pregnant with their first baby. After an unpredictable labor and delivery, Vana practiced gentle yoga with intense self- awareness as she healed. 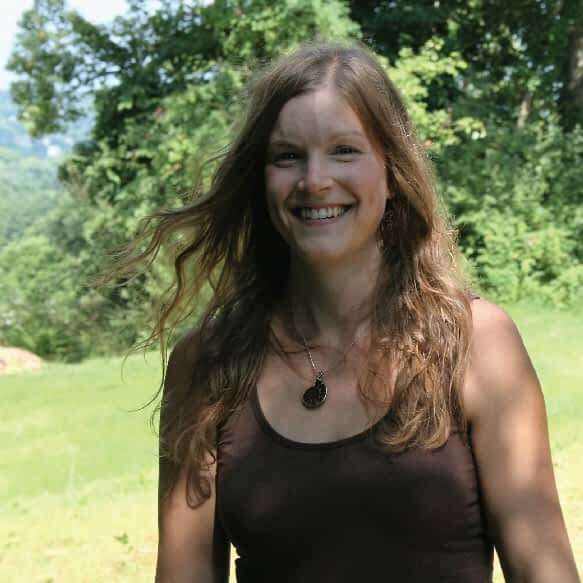 During her postpartum year, Vana completed her 200 hr Yoga Teacher Training with Humble Yoga School in Athens, Ohio. 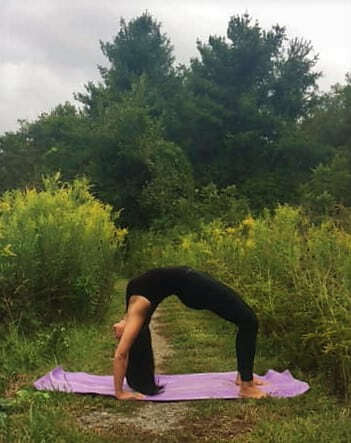 Vana found strength, self-love/care, patience, and acceptance during her yoga training. Vana is excited to share/offer yoga classes focused on safe body alignment, building a strong yoga base, and prenatal/postnatal needs. Molly believes that yoga is a practice of balance. Through this practice, we learn to listen to our body. The body can teach us about our physical, mental, and spiritual health. Yoga is also a practice of self-love where we take time to be with our true self. Molly began the practice of yoga several years ago. She knew from the moment she experienced her first class in a studio near her childhood home in Kansas that she would be practicing yoga for her entire life. Molly completed her 200 hour yoga teacher training with Humble Yoga School, and she wishes to share this beautiful practice with others. In addition, Molly has a passion for Ayurveda, also called the sister science of yoga, which encourages harmonious lifestyle practices. Molly loves hip-openers, the autumn woods, and meditation.